Not to be confused with arXiv. For help citing the Internet Archive in English World Heritage Encyclopedia, see WP:Using the Wayback Machine. Since 2009, headquarters have been at 300 Funston Avenue in San Francisco, a former Christian Science Church. From 1996 to 2009, headquarters were in the Presidio of San Francisco, a former U.S. military base. Founded by Brewster Kahle in 1996, the Archive is a 501(c)(3) non-profit operating in the United States. It has an annual budget of $10 million, derived from a variety of sources: revenue from its Web crawling services, various partnerships, grants, donations, and the Kahle-Austin Foundation. Its headquarters are in San Francisco, California, where about 30 of its 200 employees work. Most of its staff work in its book-scanning centers. The Archive has data centers in San Francisco, Redwood City, and Richmond, all in California. Its collection is mirrored for stability and endurance at the Bibliotheca Alexandrina in Egypt. 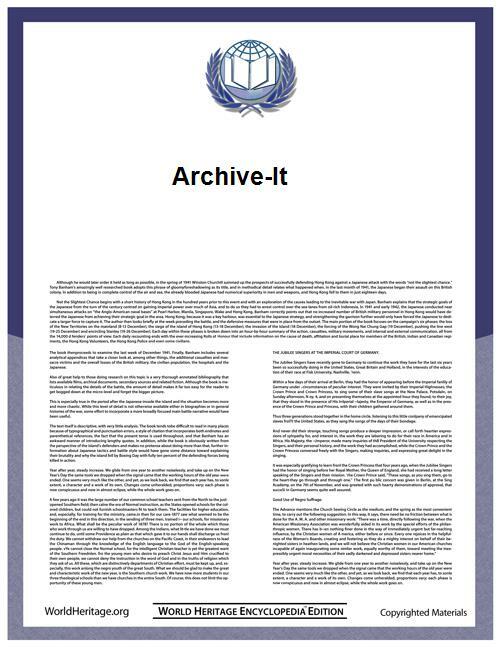 The Archive is a member of the International Internet Preservation Consortium. This non-profit digital library was officially designated as a library by the State of California in 2007. Kahle founded the Archive in 1996 at the same time that he began the for-profit web crawling company Alexa Internet. In 1996, The Internet Archive had begun to archive and preserve the World Wide Web. The archived content wasn't available until 2001, when it developed the Wayback Machine. In late 1999, the Archive expanded its collections beyond the Web archive, beginning with the Prelinger Archives. Now the Internet Archive includes texts, audio, moving images, and software. It hosts a number of other projects: the NASA Images Archive, the contract crawling service Archive-It, and the wiki-editable library catalog and book information site Open Library. Recently, the Archive has begun working to provide specialized services relating to the information access needs of the print-disabled; publicly accessible books were made available in a protected Digital Accessible Information System (DAISY) format. 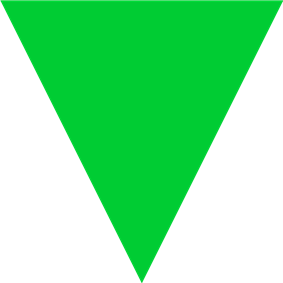 In August 2012, the Archive announced that it has added BitTorrent to its file download options for over 1.3 million existing files, and all newly uploaded files. This method is the fastest means of downloading media from the Archive, as files are served from two Archive datacenters, in addition to other torrent clients which have downloaded and continue to serve the files. Created in early 2006, Archive-It is a web archiving subscription service that allows institutions and individuals to build and preserve collections of digital content and create digital archives. Archive-It allows the user the option to customize their capture or exclusion of web content they want to preserve for cultural heritage reasons. Through a web application, Archive-It partners can harvest, catalog, manage, browse, search and view their archived collections. In terms of accessibility, the archived websites are full text searchable within seven days of capture. Content collected through Archive-It is captured and stored as a WARC file. A primary and back-up copy is stored at the Internet Archive data centers. A copy of the WARC file can be given to subscribing partner institutions for geo-redundant preservation and storage purposes to their best practice standards. The data captured through Archive-It is periodically indexed into the Internet Archive's general archive. As of December 2012, Archive-It had over 225 partner institutions in 45 U.S. States and 15 countries that have captured over 4.9 billion URLs for over 1974 public collections. Archive-It partners are universities and college libraries, state archives, federal institutions, museums, law libraries and cultural organizations, including the Electronic Literature Organization, North Carolina State Archives and Library, Stanford University, Columbia University, American University in Cairo, Georgetown Law Library and many others. NASA Images was created through a Space Act Agreement between the Internet Archive and NASA to bring public access to NASA's image, video, and audio collections in a single, searchable resource. The NASA Images team works closely with all of the NASA centers to keep adding to the ever-growing collection at NASA Images The site launched in July 2008 and now has more than 100,000 items online. In addition to web archives, the Internet Archive maintains extensive collections of digital media that are attested by the uploader to be in the public domain in the United States or licensed under a license that allows redistribution, such as Creative Commons licenses. Media are organized into collections by media type (moving images, audio, text, etc. ), and into sub-collections by various criteria. Each of the main collections includes an "Open Source" sub-collection where general contributions by the public are stored. The Internet Archive holds a collection of approximately 3,863 feature films. Aside from feature films, the Internet Archive's Moving Image collection includes: newsreels; classic cartoons; pro- and anti-war propaganda; The Video Cellar Collection; Skip Elsheimer's "A.V. Geeks" collection; and ephemeral material from Prelinger Archives, such as advertising, educational and industrial films and amateur and home movie collections. IA's September 11, 2001 as they unfolded on live television. Links to the online film are in the External links section for each article. See also World Heritage Encyclopedia list of films freely available on the Internet Archive. One of the sub collections of the Internet Archive's Video Archive is the Machinima Archive. This small section hosts many Machinima videos (see Machinima: Virtual Filmmaking). Machinima is a digital artform in which computer games, game engines or software engine are used in a sandbox mode like mode to create motion pictures, recreate plays or even publish presentations/keynotes. The archive collects a range of Machinima films from internet publishers such as Rooster Teeth and Machinima.com as well as independent producers. The sub collection is a collaborative effort between the Internet Archive, the How They Got Game research project at Stanford University, the Academy of Machinima Arts and Sciences and Machinima.com. The Live Music Archive sub-collection includes over 100,000 concert recordings from independent artists, as well as more established artists and musical ensembles with permissive rules about recording their concerts such as the Grateful Dead, and more recently, The Smashing Pumpkins. Also, Jordan Zevon has allowed Internet Archive to host a definitive collection of his father Warren Zevon concert recordings. The catalog ranges from 1976-2001 and contains 1,137 free songs. The Archive has a collection of freely distributable music that is downloadable and streamable via its Netlabels service. The music in this collection generally have Creative Commons-license catalogs of virtual record labels. The Internet Archive Text Archive collection includes digitized books and special collections from various libraries and cultural heritage institutions from around the world. The Internet Archive operates twenty-three scanning centers in five countries, digitizing about 1,000 books a day, financially supported by libraries and foundations. As of November 2008[update], when there were about 1 million texts, the entire collection was over 0.5 petabytes, which includes raw camera images, cropped and skewed images, PDFs, and raw OCR data. Around October 2007 Archive users began uploading public domain books from Google Book Search. As of May 2011 there were over 900,000 Google-digitized books in the Archive's collection, out of a total of 2.8 million books. The books are identical to the copies found on Google, except without the Google watermarks, and are available for unrestricted use and download. Voicing a strong reaction to the idea of books simply being thrown away, and inspired by the Svalbard Global Seed Vault, Kahle now envisions collecting one copy of every book ever published. "We're not going to get there, but that's our goal," he said. Alongside the books, Kahle plans to store the Internet Archive's old servers, which were replaced in 2010. The Internet Archive is «the largest collection of historical software online in the world», spanning 50 years of computer history in terabytes of computer magazines and journals, books, shareware discs, FTP websites, video games etc. In 2013 the Internet Archive began to provide abandonware video games browser-playable via MESS, for instance the Atari 2600 game E.T. the Extra-Terrestrial. In a story at his Web site headed "What the heck is going on at Internet Archive? ", author Steven Saylor noted, “Sometime in 2012, the entire run of Omni magazine was uploaded (and made downloadable) at Internet Archive.... Since those old issues must contain hundreds of works still under copyright by numerous contributors, how is this legal?" At least one contributor to the magazine, author Steve Perry, has publicly complained that he never gave permission for his work to be uploaded ("they didn't say a word in my direction"), and it has been noted that all issues containing the work of Harlan Ellison have apparently been taken down. Glenn Fleishmann, investigating the question "Who Owns Omni? ", writes that "Almost all of the authors, photographers, and artists whose work appeared in the magazine had signed contracts that granted only short-term rights....[No one] could simply reprint or post the content from older issues." The Internet Archive blacked out its website for twelve hours on 18 January 2012 in protest of the Stop Online Piracy Act and the PROTECT IP Act bills, two pieces of pending legislation in the United States Congress that they claim will "negatively affect the ecosystem of web publishing that led to the emergence of the Internet Archive." This occurred in conjunction with the English World Heritage Encyclopedia blackout, as well as numerous other protests across the internet. The Great Room of the Internet Archive features a collection of nearly 100 ceramic figures representing employees of the Internet Archive. This collection was commissioned by Brewster Kahle and is ongoing. The sculptor is Nuala Creed. Commons has media related to Internet Archive.